ISO 5 CLASS (GRADE A – EU CGMP) CONTINUITY. 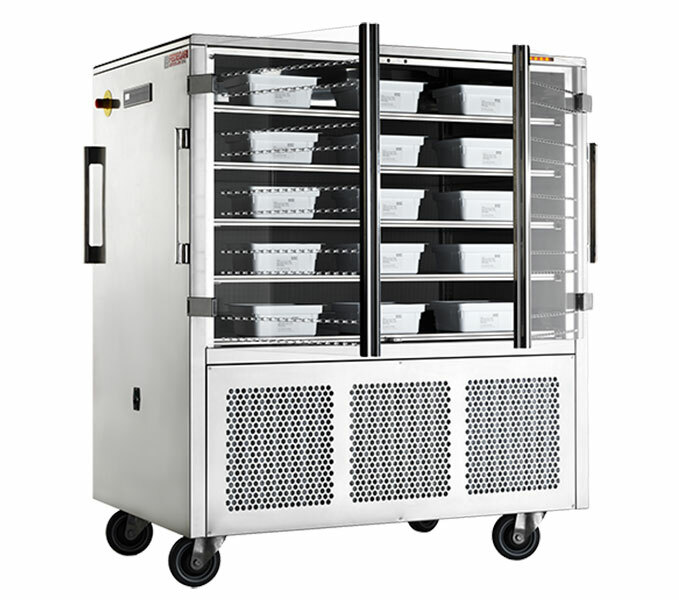 FHC HEPA Cart Unit is the best solution to assure safe storage and transport of aseptic products during manufacturing phase. For example, it allows a clean transfer of materials and/or tools between the washing area and the sterilization/decontamination stations. According to the EU GMP requirements., this equipment can be defined as a protection device able to assure grade “A” continuity for the carried aseptic material passing through a grade “B” environment. High-efficiency particulate arrestance (HEPA) H14 filters – with efficiency of 99,995% most penetrating particle size (MPPS) compliant to EN 1822 – guarantee ISO 5 class (Grade A – EU cGMP) continuity. 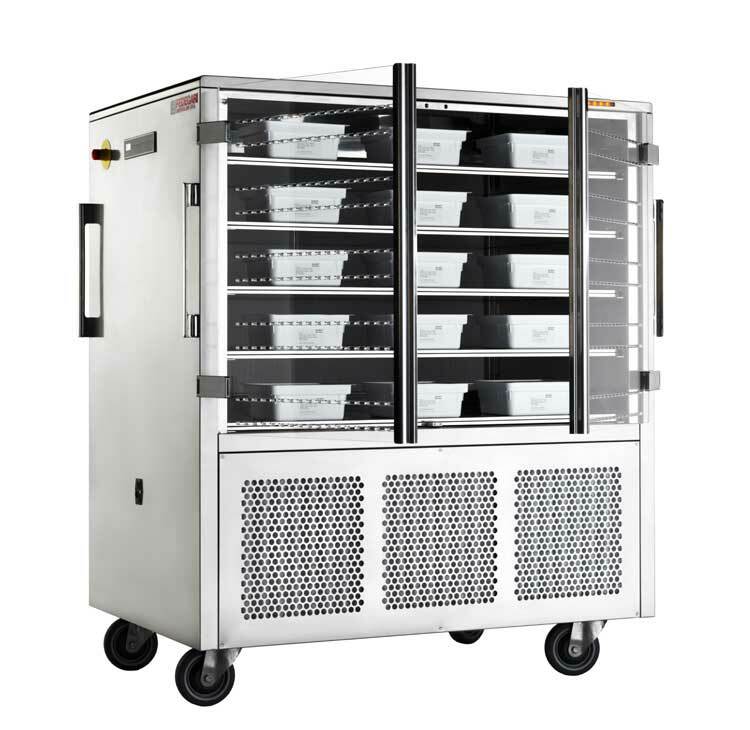 Fedegari HEPA Cart Unit is the cost-effective solution for sterile sites improvement and retrofitting. Avoid the installation of additional vertical unidirectional flow systems to cover material pathways within the aseptic area. Stainless steel AISI 304 body. Doors with perfect dimensioning to close half of the loading side allowing an opening of 90°, 180° and 270° degrees. This functional design guarantees ease of use for operators while loading and unloading the trolley. 2 pivoting and 2 fixed castors. Control board with ON/OFF switch and relevant lamp signal, fan alarm red light, display for air flow monitoring and alarms including HEPA filter differential pressure, air flow rate and air velocity. 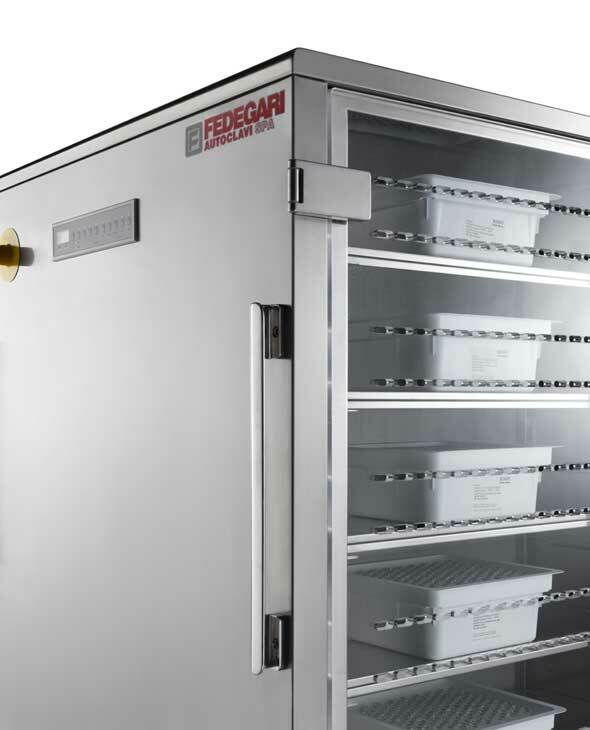 FHC unit can be loaded with the same trays used on the internal trolleys of Fedegari autoclaves. 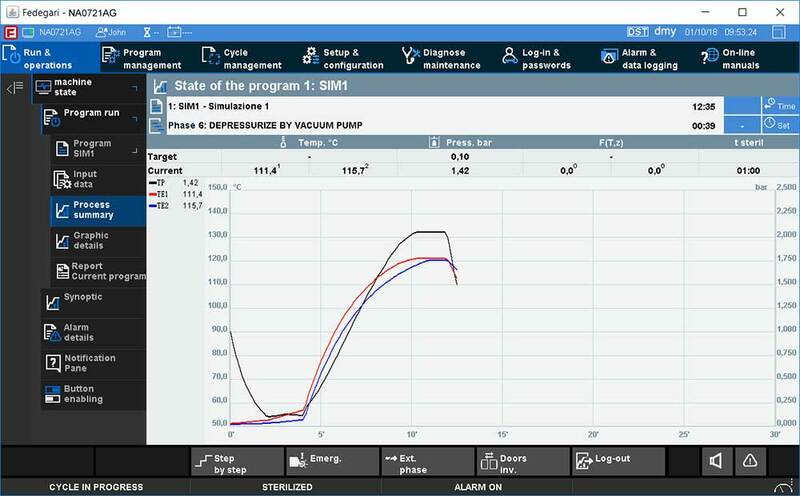 Self-adjusting airflow rate according to static pressure drop increase. Functional design: doors opening on 90°, 180° and 270° .